The gift of fruit is a great way to tell someone you are thinking of them or to celebrate a special event. 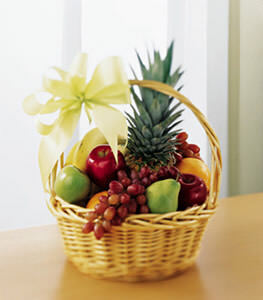 A handled basket is filled with the days freshest fruit and finished with a ribbon. Fruit selections will vary. Note: Same day delivery for this item may not be available in all areas.